Focus on Customer Content Drives Costco Marketing Strategy – StratGo Marketing. Plug-in marketing department services. Take a spin around costco.com, and you’ll find a website loaded with consumer-friendly product information designed to inform, persuade and generate “Add to Cart” shopping clicks. Costco utilizes a consumer education strategy online, particularly for many of its OTC healthcare and dietary supplement products. Pay attention, B2B and DTC marketers. Shoppers desire complete product information and accurate photos as part of their research and purchasing process. I can’t quantify the benefit, but it stands to reason that investing to upgrade the content for your communication platforms will pay-off, and effectively differentiate your company and brands. 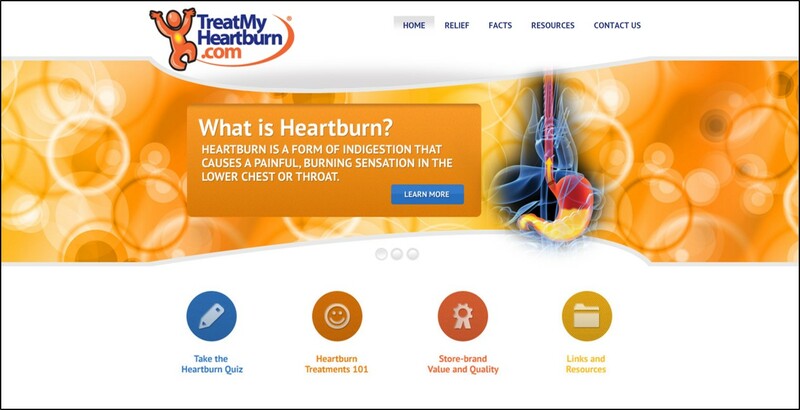 Recently, Costco added a consumer website called TreatMyHeartburn.com to promote its Kirkland Signature branded acid reducer product. It’s a surprising move by Costco. The microsite is now prominently featured on-package, which is part of a newly sized, smaller carton presentation. The depth of information includes an easy-to-understand educational video explaining proton pump inhibitors (PPI). Even when it’s competing head-to-head, Costco presents national brands in similar fashion. For example, Prilosec OTC gets the same product presentation as does Kirkland Signature omeprazole. Another communication example: for Kirkland vitamin C, Costco highlights their commitment to quality by prominently featuring their USP certification (United States Pharmacopeia Convention), which is important, but not well-known by consumers. Costco gets today’s shopper. Provide relevant information in an easy-to-use format to guide purchasing. Sync the online and retail experiences. Respect the smart consumer. It will pay off.